Former President Barack Obama reportedly warned then-President-elect Donald Trump against hiring Michael Flynn as national security adviser. 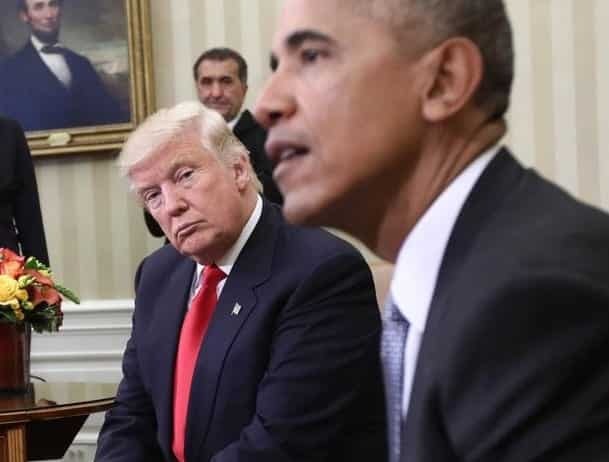 Three former Obama administration officials told NBC News that the warning came during an Oval Office meeting between Obama and Trump two days after the 2016 presidential election. A senior White House official confirmed this account, saying “why would [Obama] be” a fan of Flynn’s given how much he criticized Obama. The former general is under fire for allegedly failing to disclose payments from Russia and Turkey on his application for a government security clearance. In February, Flynn stepped down as national security adviser after it was revealed that he lied to Vice President Mike Pence about his conversations with Russia’s U.S. ambassador. Trump transition officials reportedly also sounded the alarm about Flynn, warning him about talking with the ambassador. This entry was posted on May 8th 2017 at 11:46am/11:46 and is filed under Elections, Live News Column 2, Politics. You can follow any responses to this entry through the RSS 2.0 feed.